After coming under criticism from open source groups over its decision to limit access to Windows XP users, the corporation made a deal with Adobe to stream iPlayer content through its website. The download service is still limited to Windows, but the streaming content is now available to all – but is it any good? We looked at the iPlayer when it launched in July, and found a number of frustrating problems in setting the service up and downloading the latest version of Windows Media Player. In addition, the download times weren’t too impressive – up to four hours for a one hour programme. The new streaming version solves this problem, and the best of the last week’s BBC content can now be viewed almost instantly. However, there are problems with this new version. For instance, to watch programmes in full screen you first need to download the latest version of Flash player. 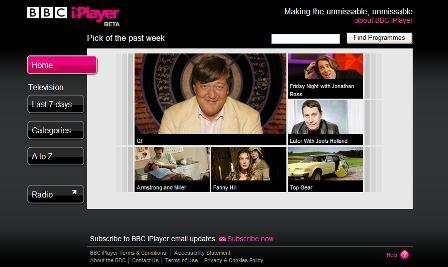 The iPlayer is still in beta, so perhaps these are just teething troubles, but this is very frustrating for the user. When it works properly, the BBC’s streaming service is more than a match for ITV’s catch up broadband service, which suffers from usability problems, as well as an excess of advertising. Teething problems aside, the iPlayer offers an excellent range of content and, by offering streaming video, takes away the waiting times associated with downloads. The BBC will begin marketing the iPlayer to the public on Christmas Day – hopefully it will have sorted out these issues before thousands more people start using the media player.